My sister graduated from West Virginia Wesleyan this weekend, so I found myself at the Hampton Inn in Buchannon, West Virginia (don’t ever go there) watching a lot of this game on my iPhone. 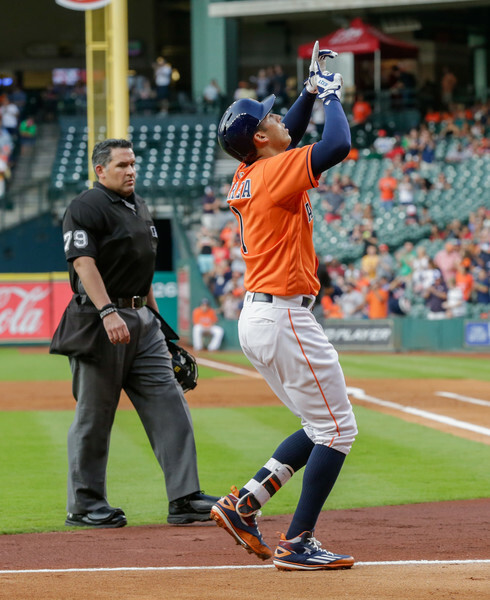 It has to be noted that Carlos Correa had a huge ballgame Friday night. He went 3 for 3 with a walk, and he’s been shooting a lot of balls to right field. This is his third home run into the right field seats so far this season, and fifth overall. The Astros got 6 and 1/3 solid from Doug Fister, and held on to win the game 6-3. Taijuan Walker left the game after two innings. They’ve done little to make up any ground in the AL West standings though as they dropped last night’s game on MLB Network 3-2 in ten innings.